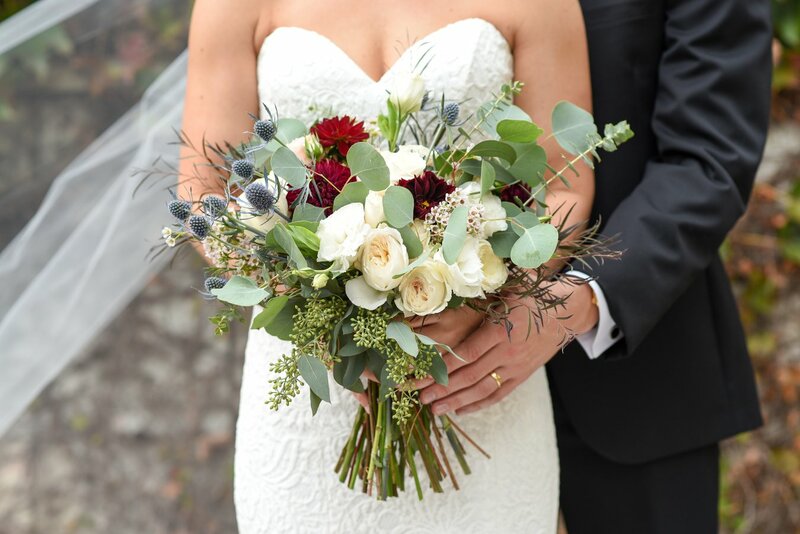 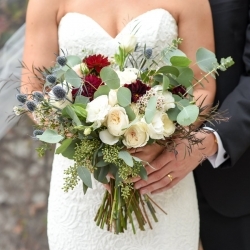 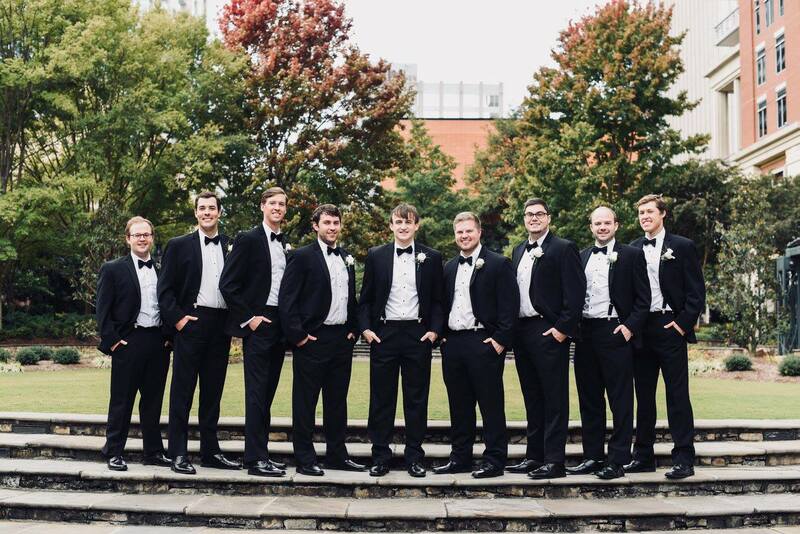 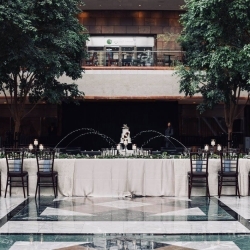 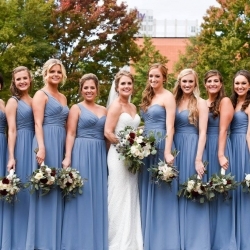 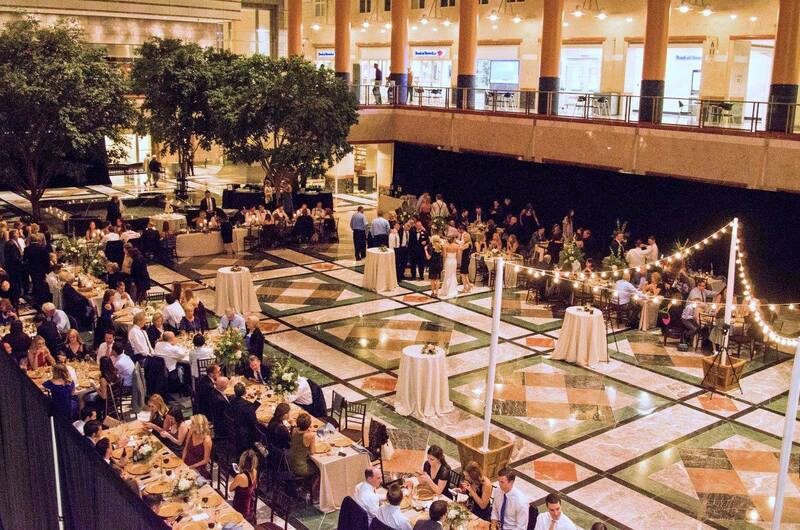 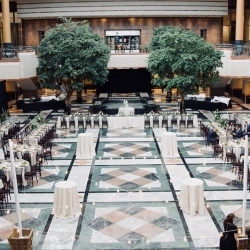 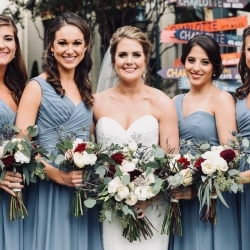 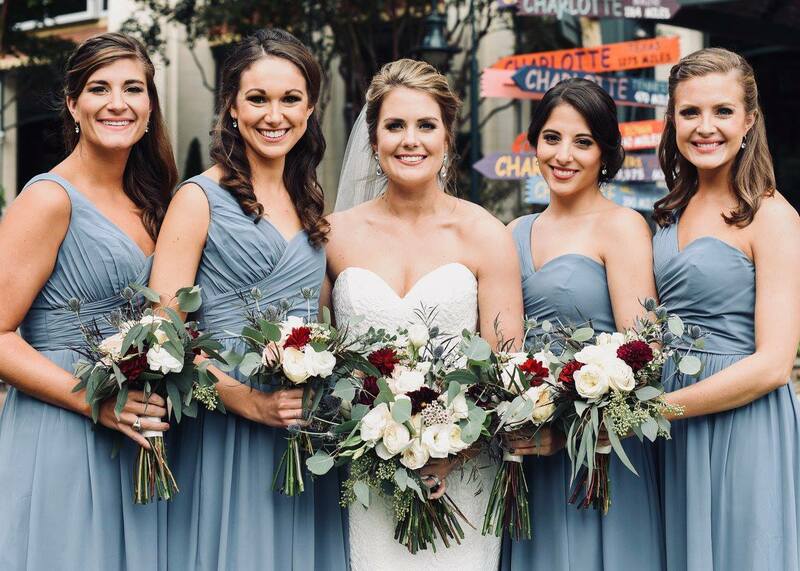 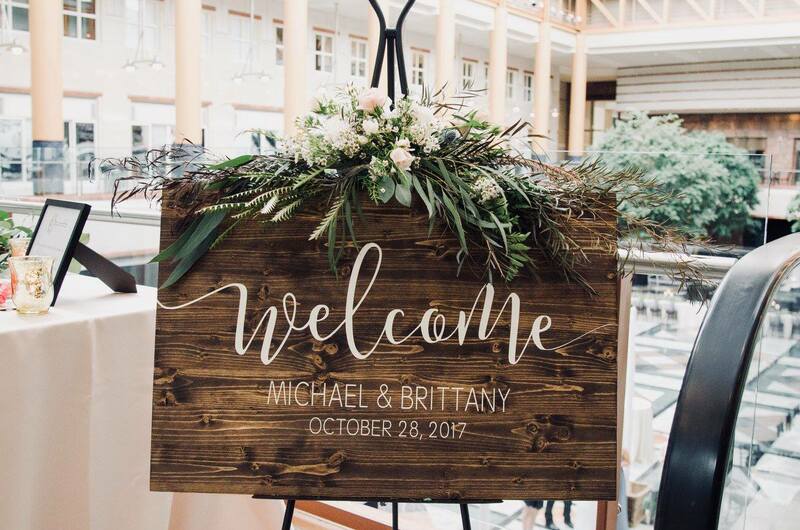 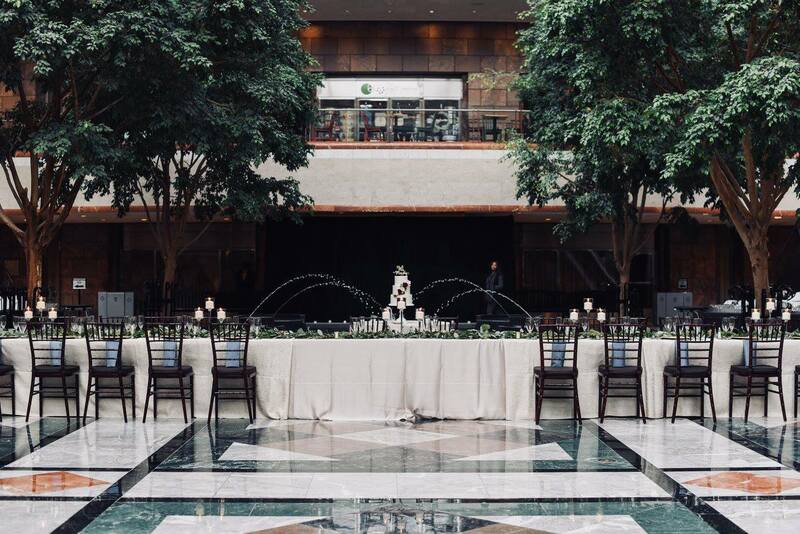 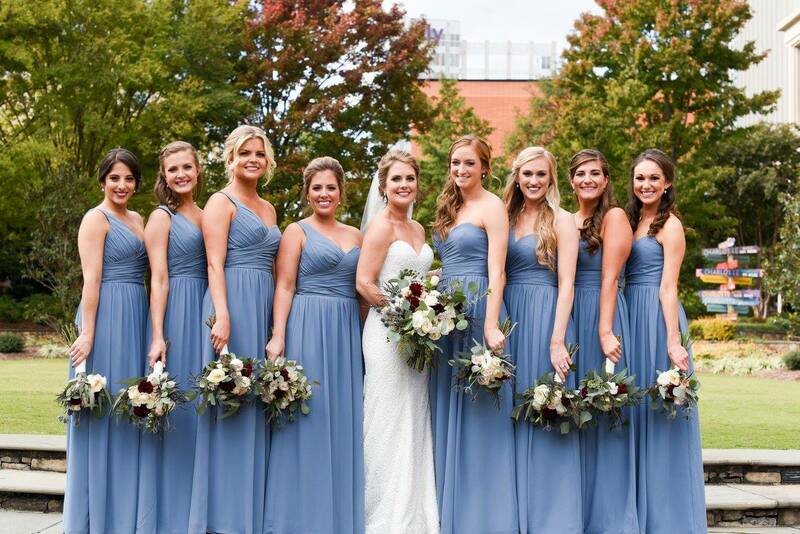 Brittany and Michael had a gorgeous fall wedding at Founder’s Hall in the heart of Uptown Charlotte. 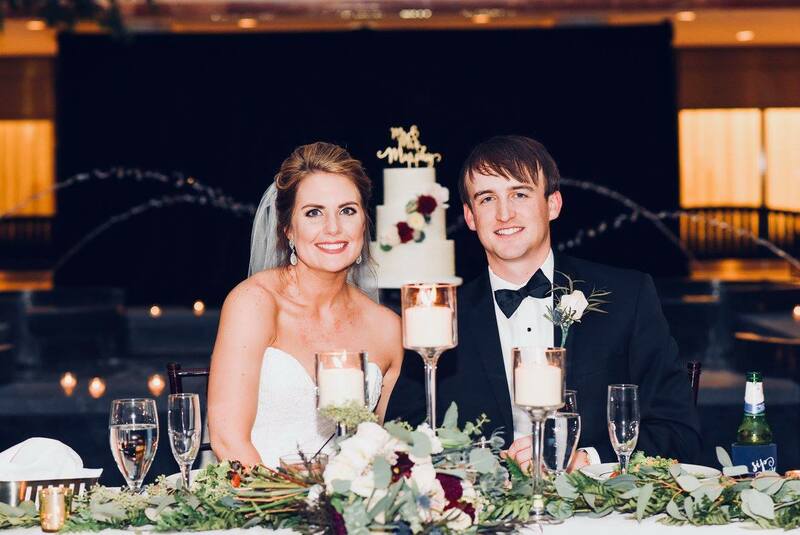 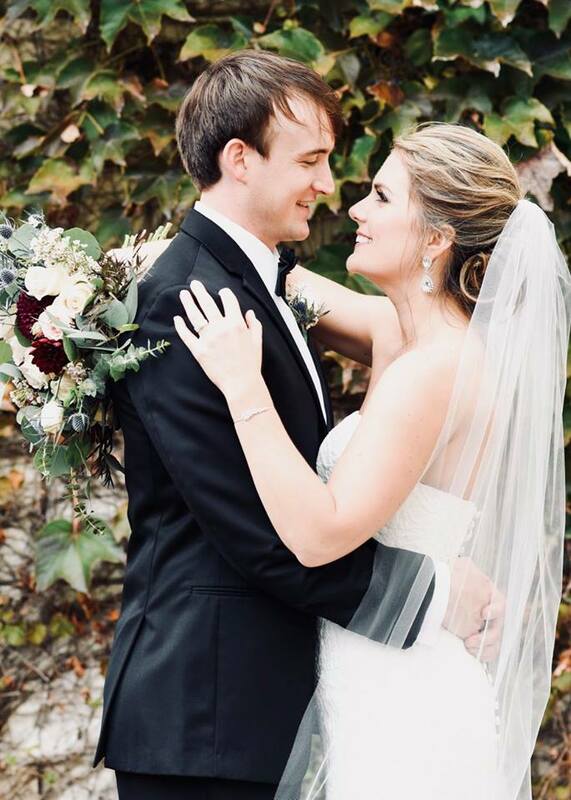 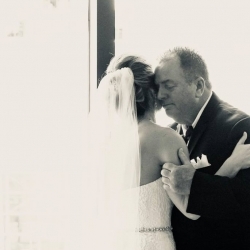 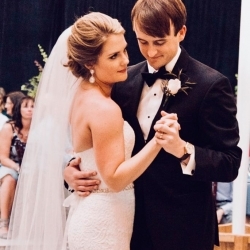 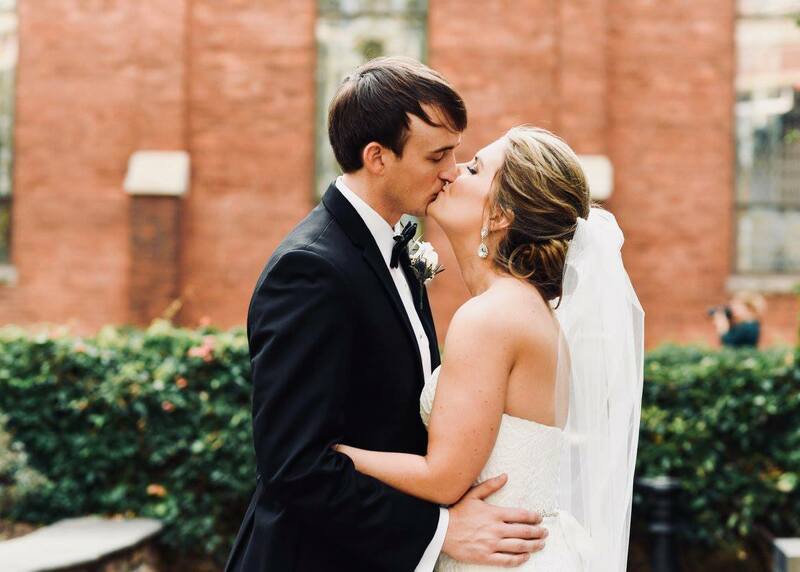 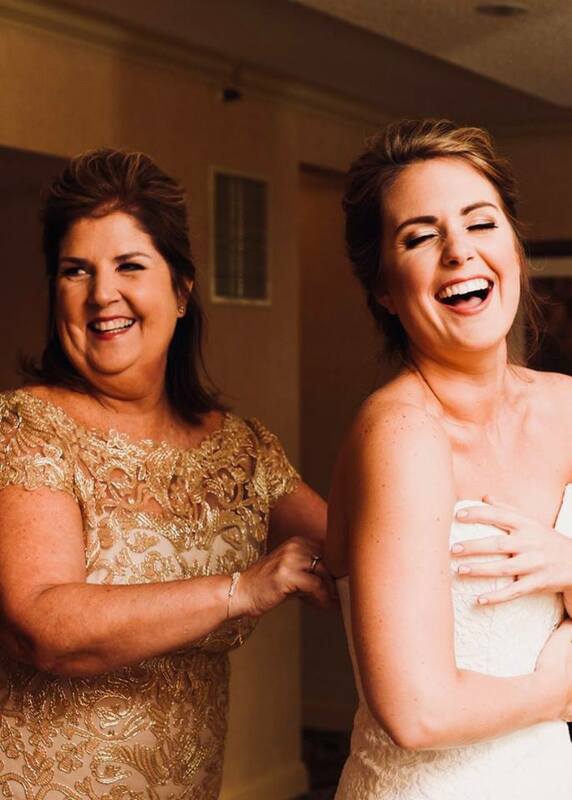 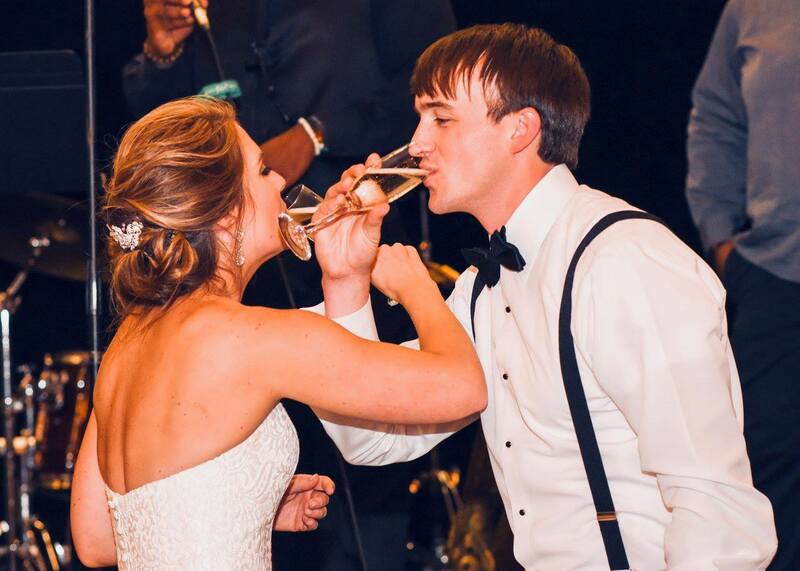 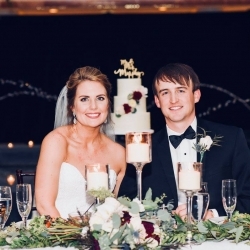 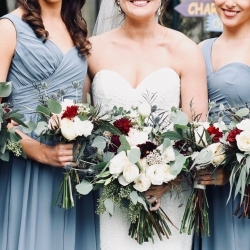 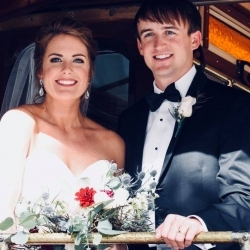 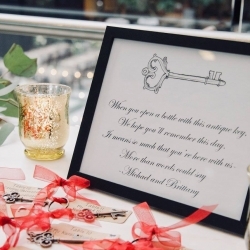 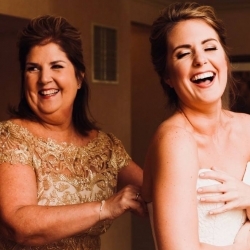 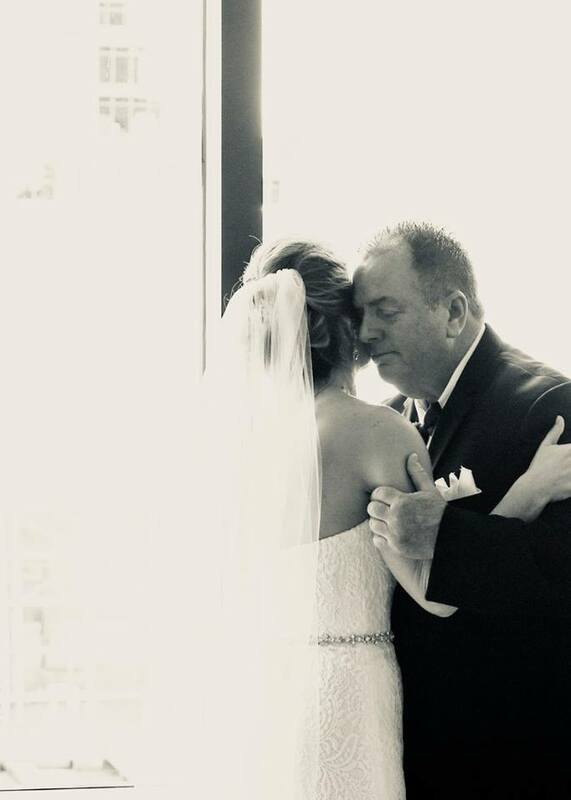 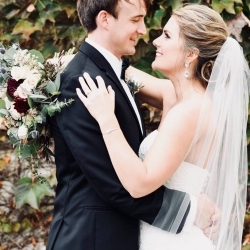 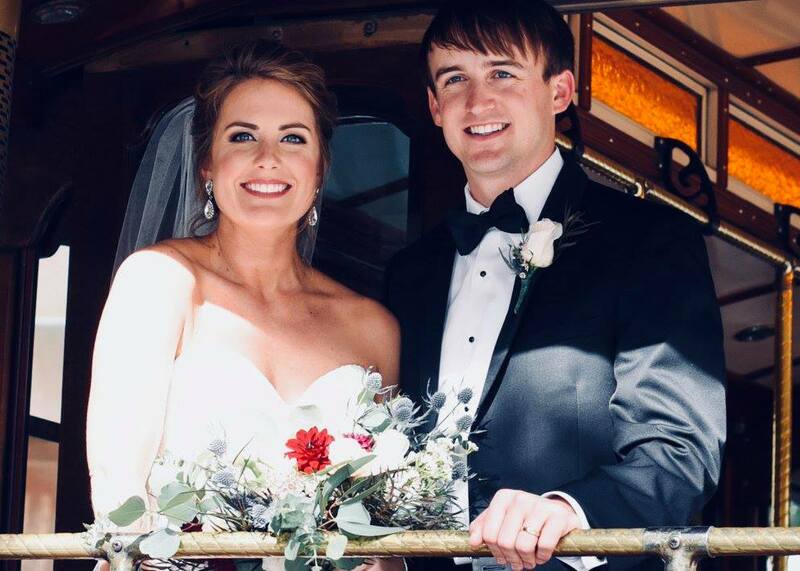 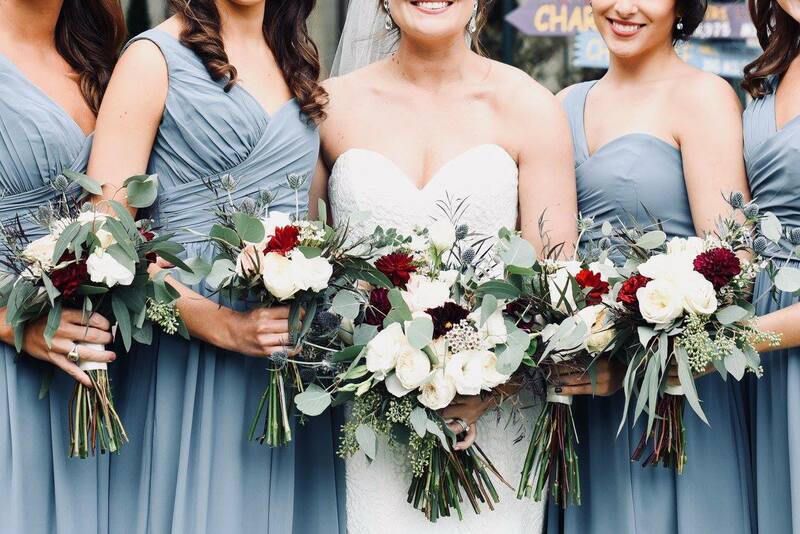 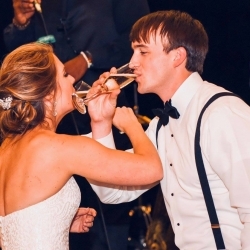 This sweet couple met as lifeguards at a YMCA and they have a connection that is hard to ignore, and definitely felt during their big day. 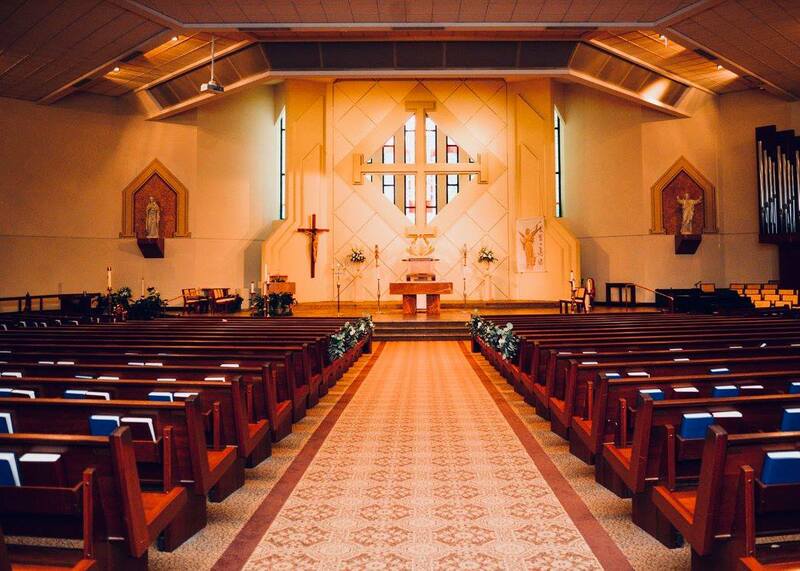 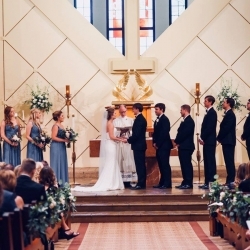 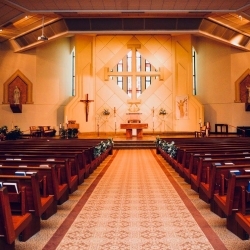 Their ceremony was held at the lovely St Gabriel Catholic Church. 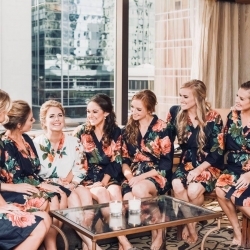 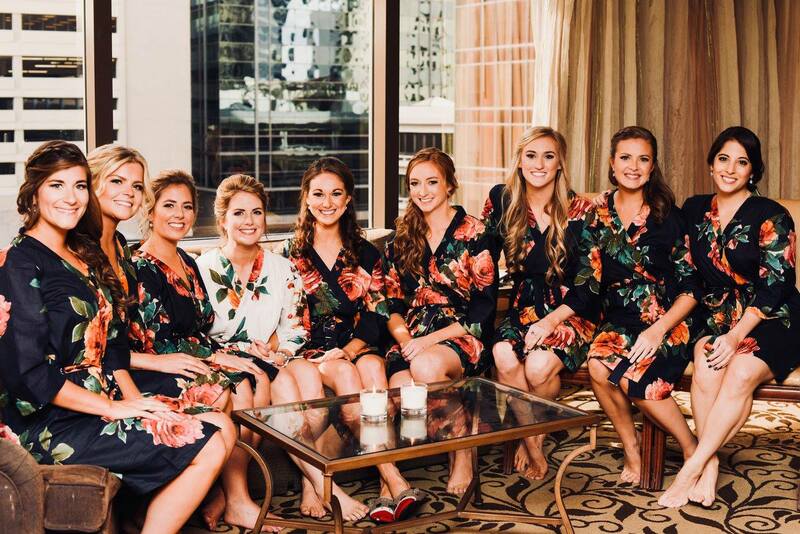 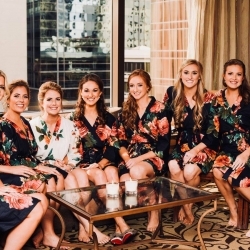 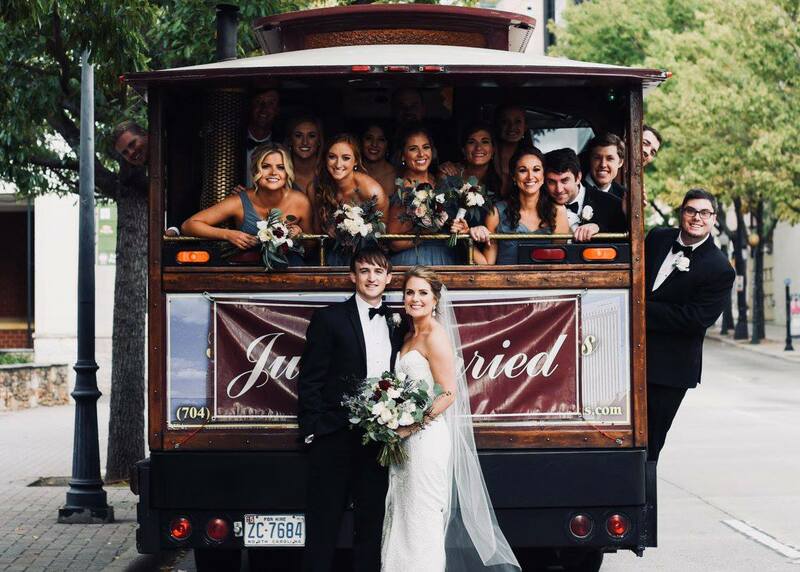 After which the bridal party left in an old-fashioned Trolley for pictures in Uptown. 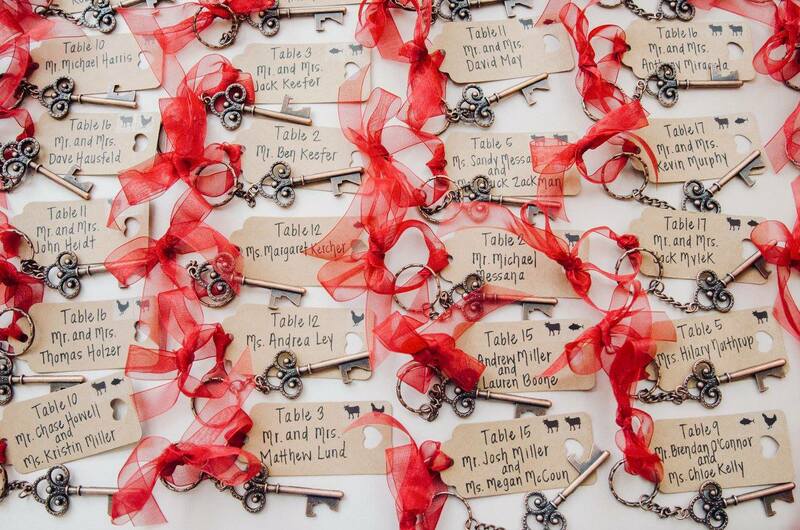 And here is where it gets interesting! 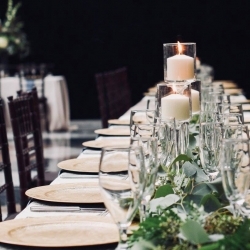 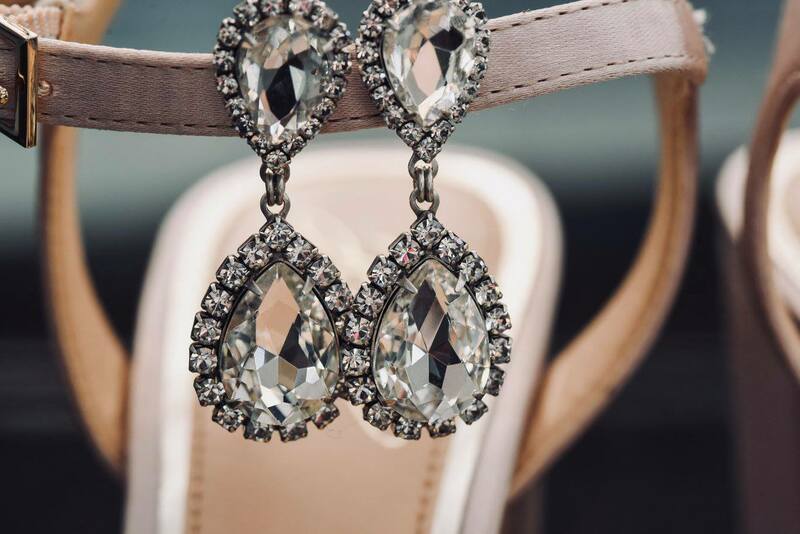 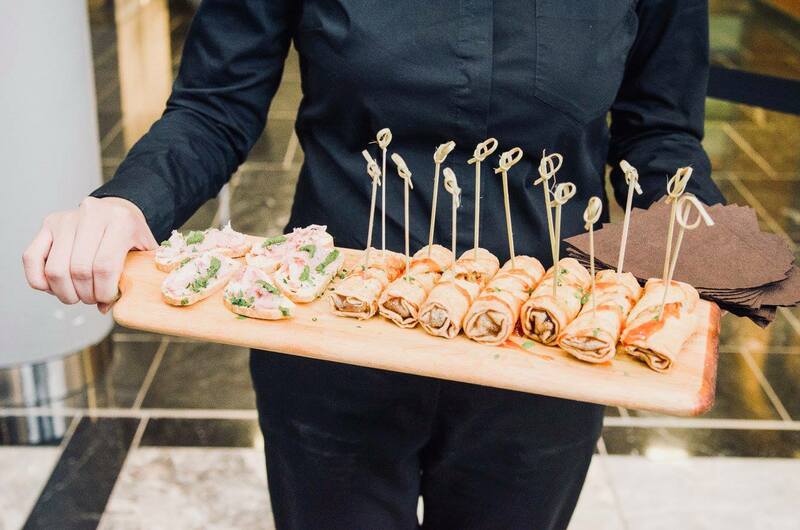 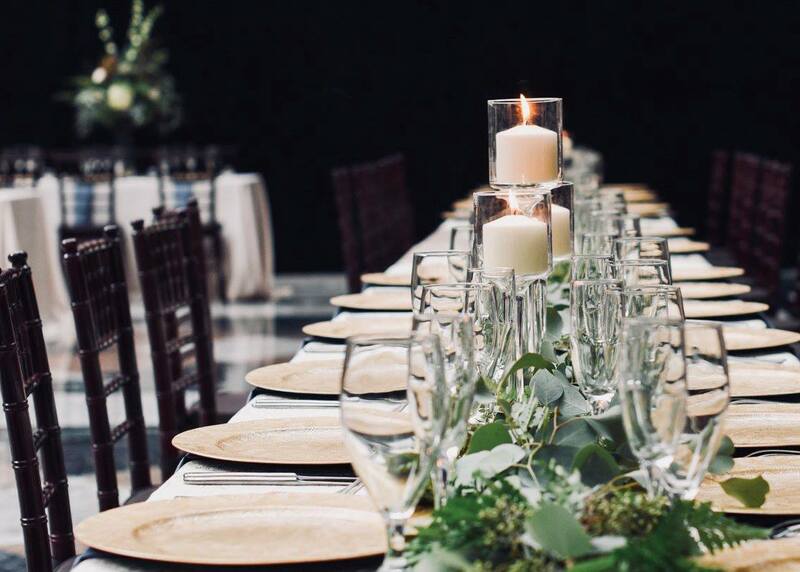 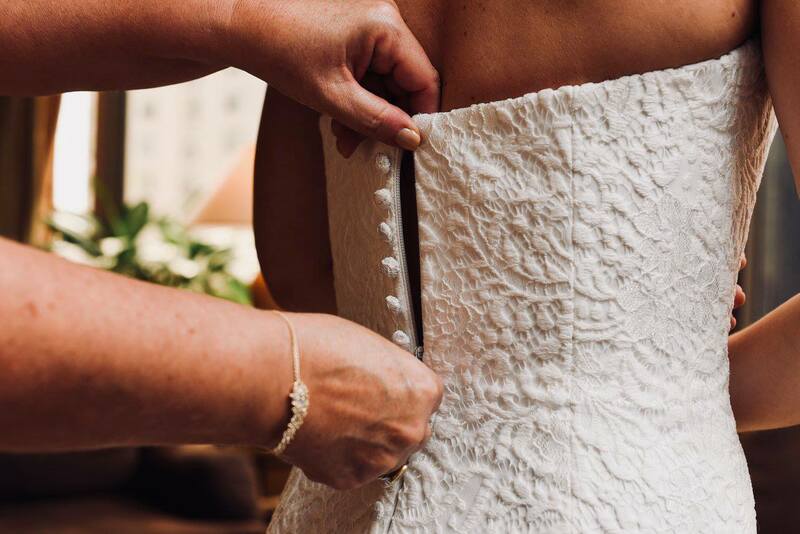 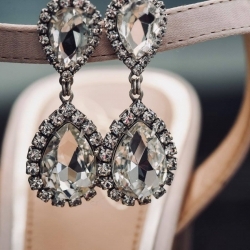 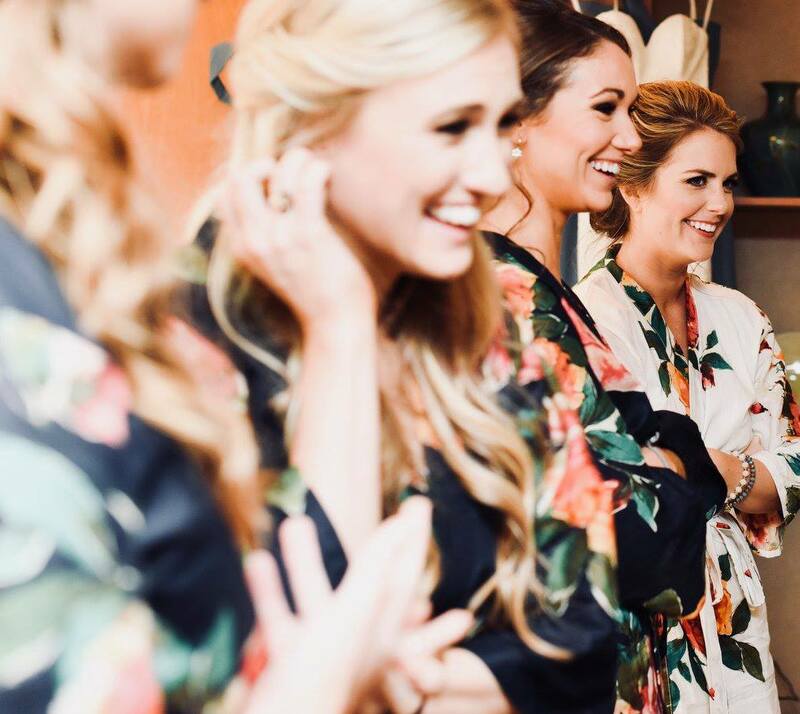 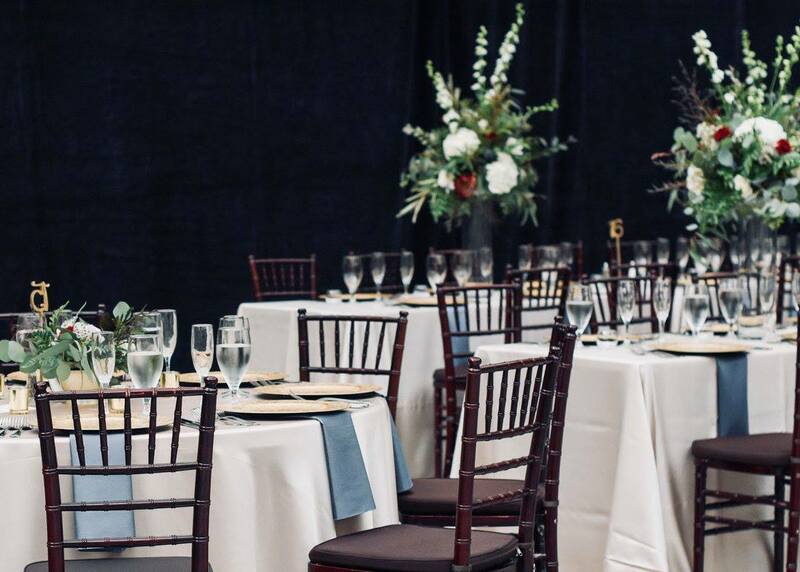 I wish we could say all our events go smoothly but that’s not the case (and definitely a reason to hire a coordinator for your big day!). 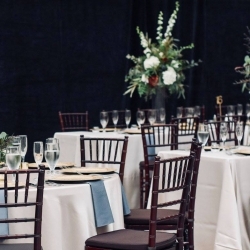 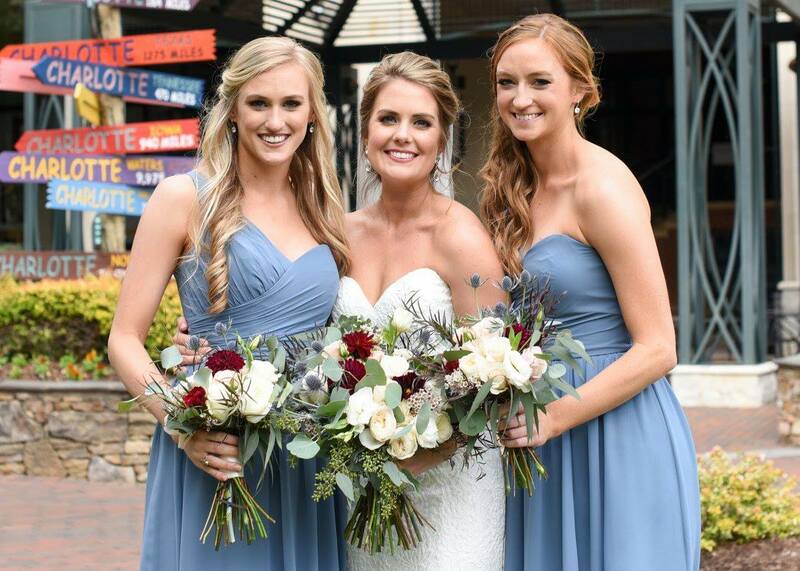 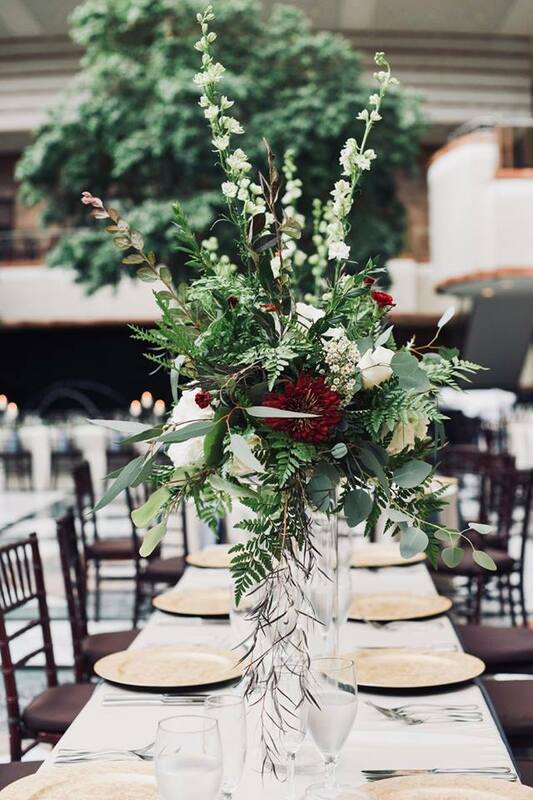 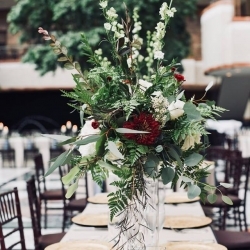 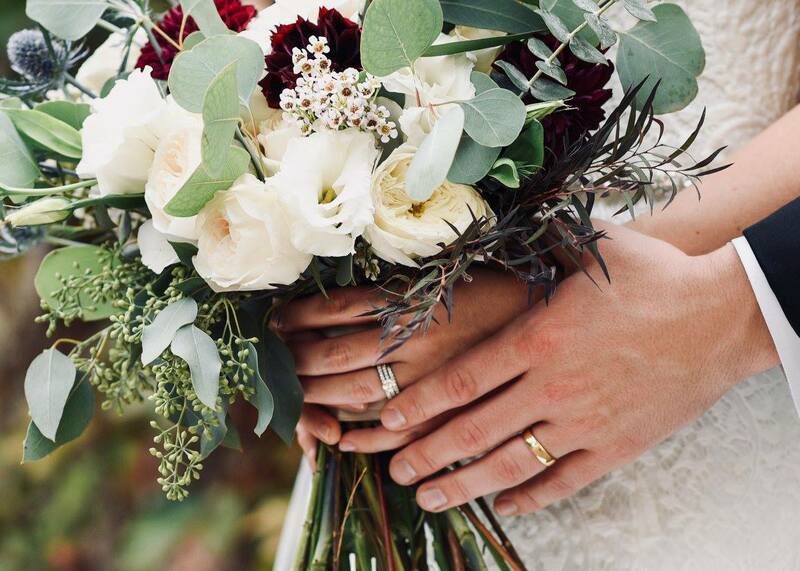 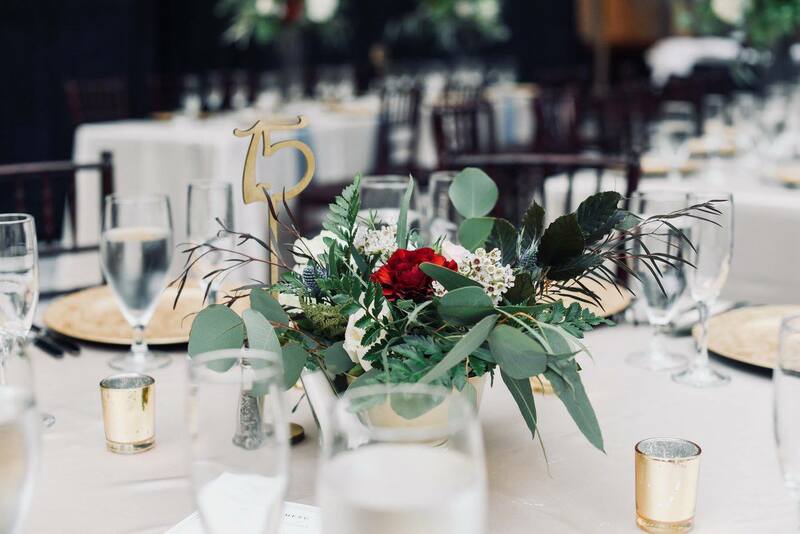 Brittany, like many resourceful brides, chose to reuse ceremony flowers that lined the aisle at the church, as centerpieces at Founders Hall. 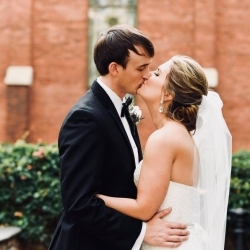 So our very own Shelby was tasked with this move. 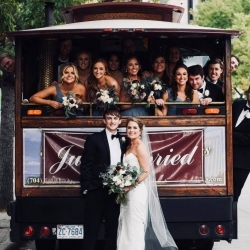 However, like all well-laid plans, there are sometimes problems, and this problem for the wedding came in the form of a car accident! 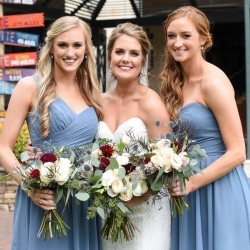 Shelby was hit by another car on the way to reception site with flowers in hand, which meant bare tables were outstanding at the reception waiting! 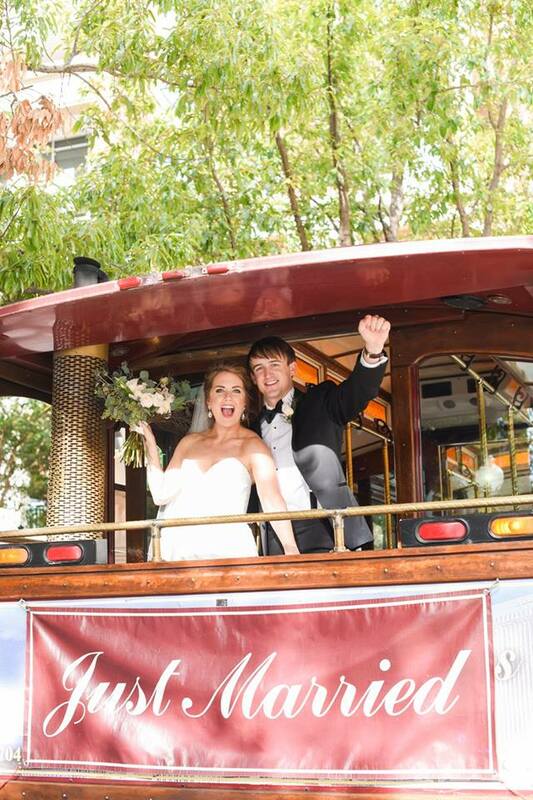 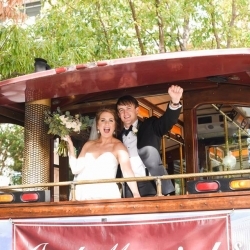 But luckily the trolley (you know the one with the bridal party) happened to go right by the accident! 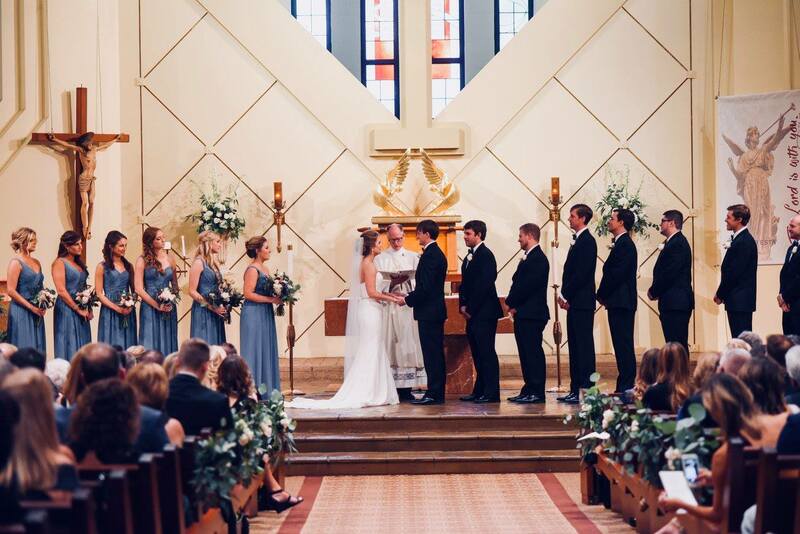 So with quick thinking, Shelby was able to flag it down, load the flowers, and save the day! 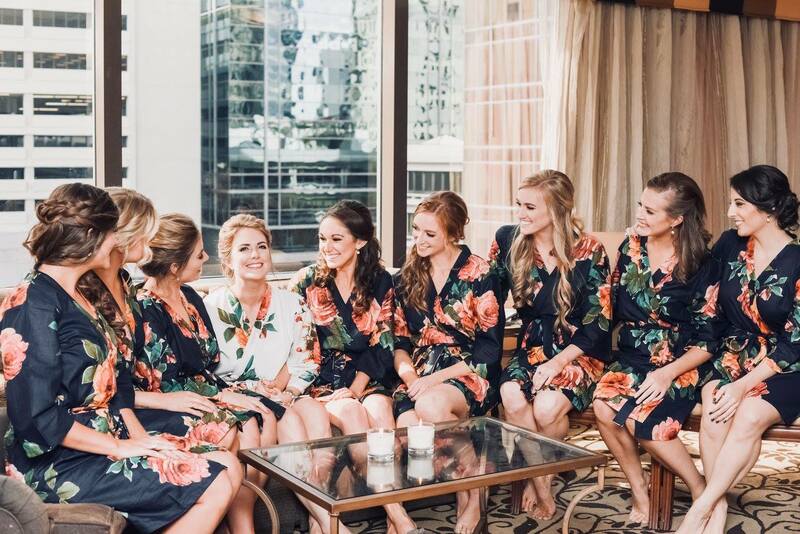 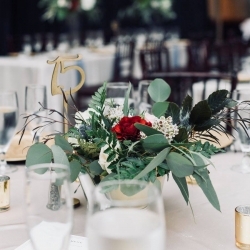 The flowers arrived in time for the reception and everyone was very happy that the accident was minor from Shelby’s point of view. 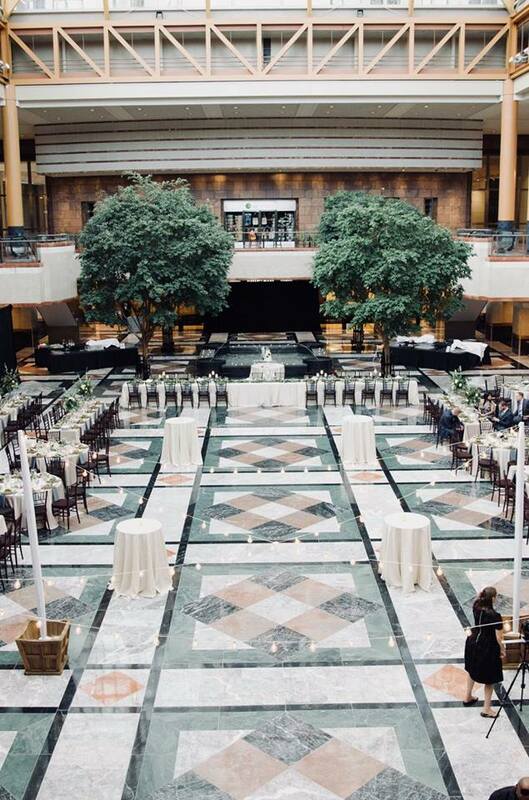 The cocktail hour went off without a hitch, and yes the beautiful floral centerpieces, and Shelby, even made it there in one piece! 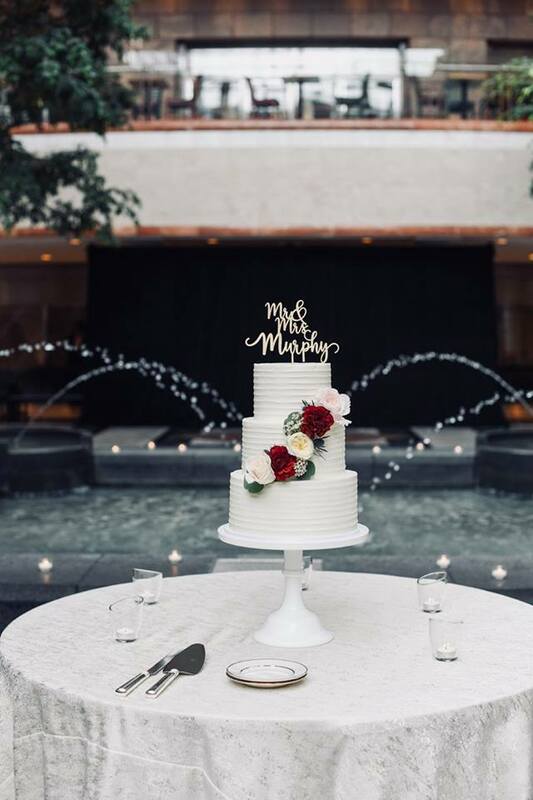 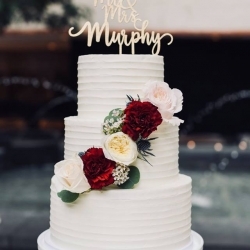 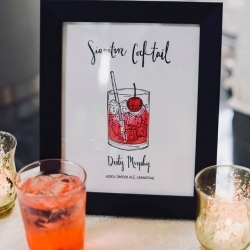 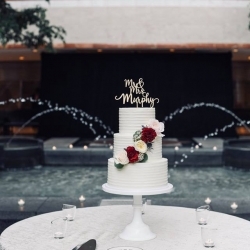 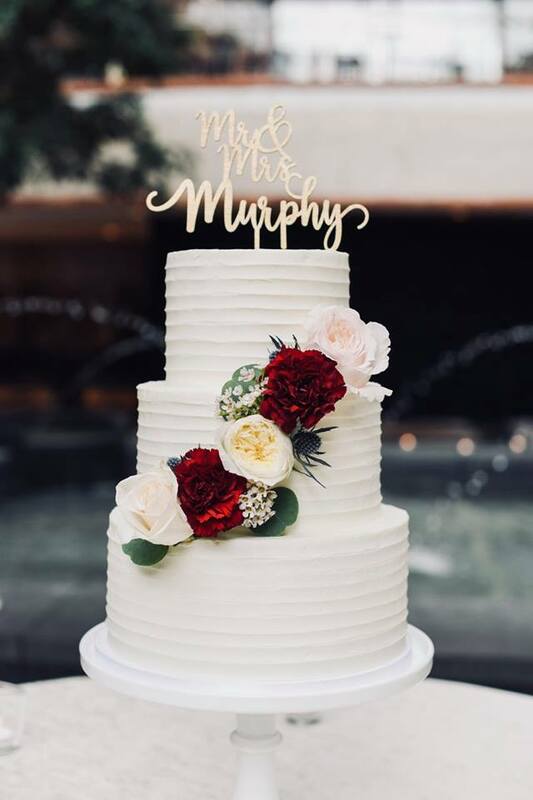 The couple created an amazing signature cocktail called the “Dirty Murphy” that was poured for each guest before they walked in. 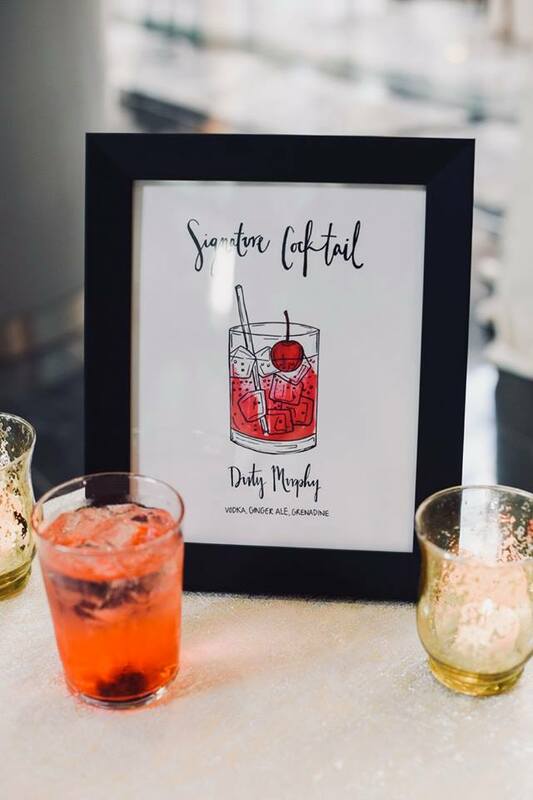 It was such a cute way to play on a common drink and really make it their own. 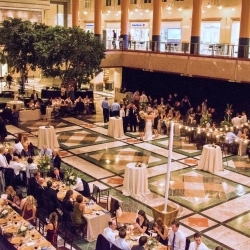 The reception followed cocktail hour under the beautiful glass ceiling at Founders Hall. 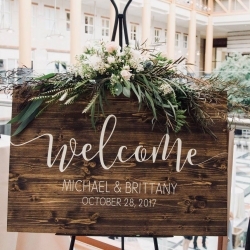 Brittany and Michaels’s guests were not shy! 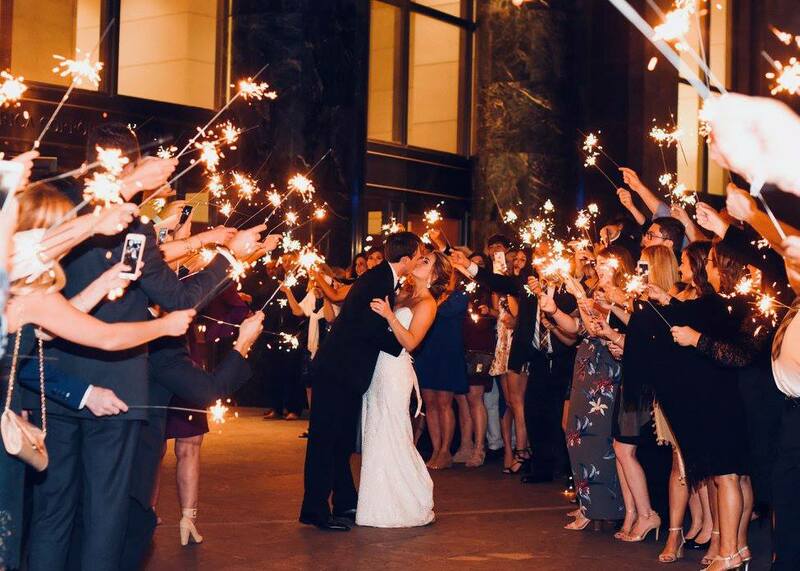 Everyone jumped on the dance floor to celebrate this amazing couples love. 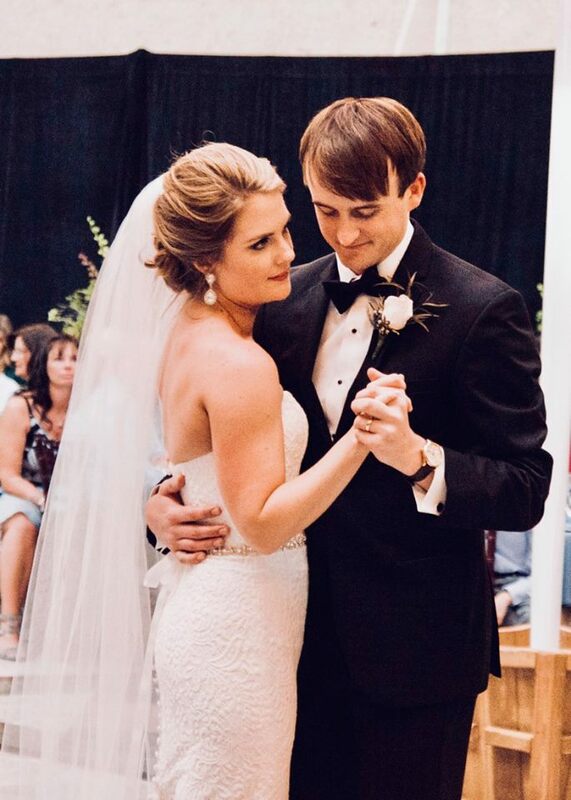 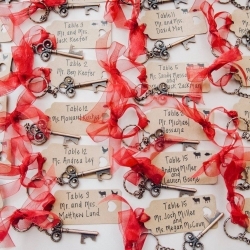 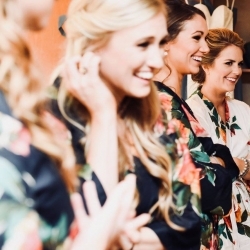 It was great to see how their guests were able to come together like they had known each other forever, even if they met that day. 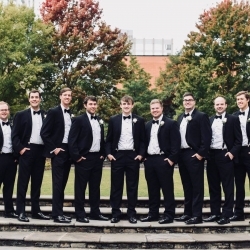 Two of the groomsmen even made a “limbo line” with their ties, talk about fun! 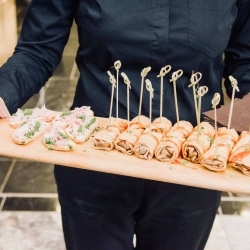 The night continued with a fun late night snack, which was a perfect pick me up to all the guests on the dance floor. 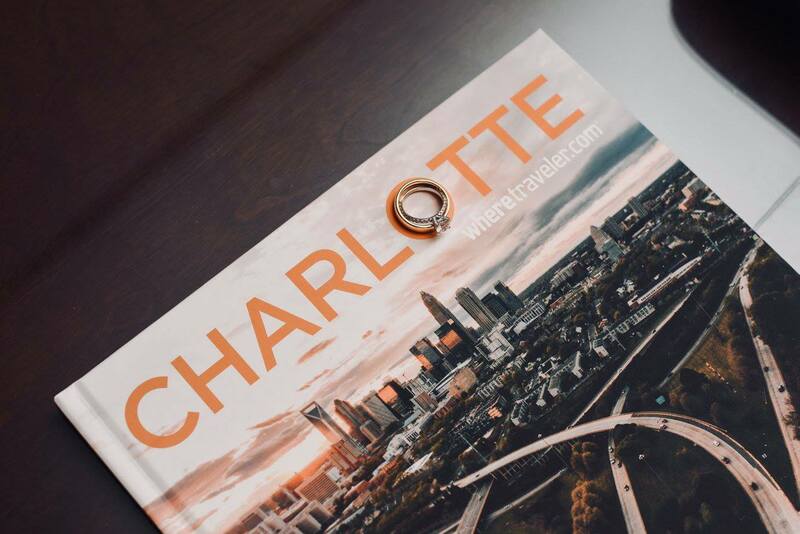 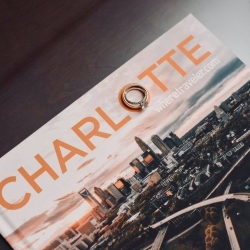 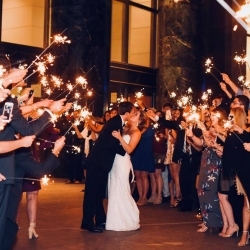 In the end, Brittany and Michael exited through a sea of sparklers into uptown Charlotte, ready to start their lives together. 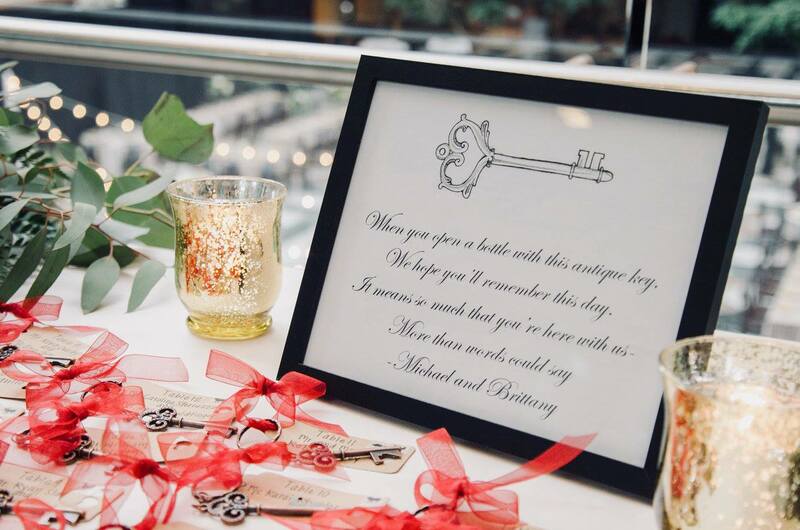 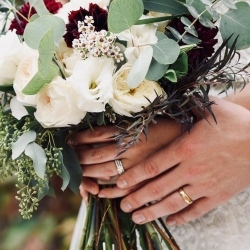 Congratulations to Brittany and Michael, may you have many happy years!